Side Entry Hibarns Tall Sides Adds Additional Space! Side Entry Hibarns has a roomy loft in each end of it. A portable ladder lets you move things around and organize with ease. 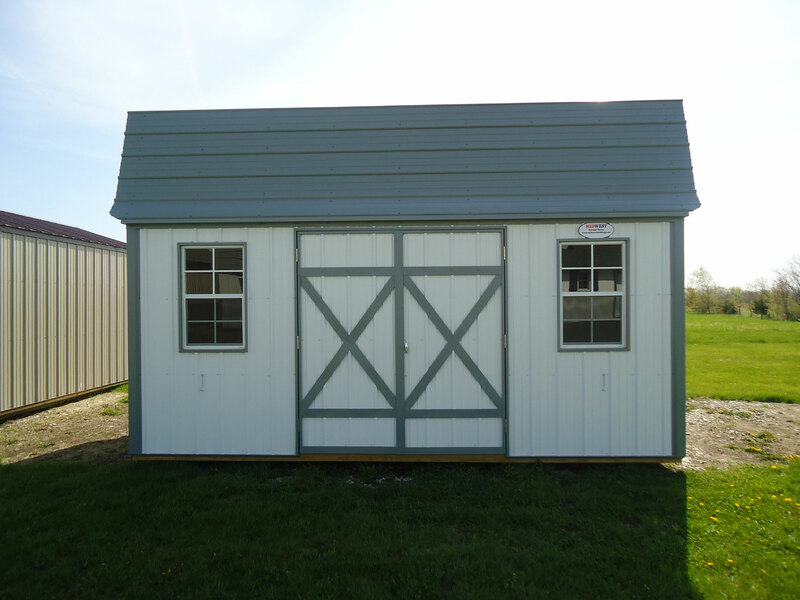 This Hibarn comes with 2 22″ x 36″ aluminum windows and 2 – 3′ key locking doors for 6′ of total opening. Choose from 15 different sizes for your Side Entry Hibarn. Our quality Hibarn’s are adaptable to any kind of a play or working environment. Easily upgrade your aluminum windows for vinyl windows, add a steel entry door, barn ramp, or portable workbench/shelf and have your building running efficiently.